Chinoiresie | Will the Future of Human Rights Be ‘Made in China’? 09 Aug Will the Future of Human Rights Be ‘Made in China’? For at least three years, my organisation has been tracking—and helping others to track—the way in which China is expanding its influence in multilateral institutions, in particular the United Nations (UN). However, when the Trump Administration announced the withdrawal of the United States from the UN’s peak human rights body, the Human Rights Council, on 19 June 2018, the interest in understanding China’s methods became an imperative. Major media outlets published a number of articles focussing on the impact of the US decision (Wade 2018). Several commentators have viewed this decision as a ‘crushing blow’ for efforts by NGOs and victims of abuses to use the Council to hold China accountable. This editorial examines the idea that the withdrawal is a ‘gift’ for President Xi Jinping and China’s stated aspirations to ‘responsible global leadership’ (Eve 2018). To understand just how true this statement is, we must first look at how the Chinese government has stepped into the role of international player. We should then review how China has used its influence and access to change the UN across three broad areas: the politics of intergovernmental bodies, the processes and procedures of the UN bodies and agencies, and the participation of civil society in the UN. Finally, we have to consider why this matters for human rights defenders on the ground, in China and elsewhere. On the surface, China’s commitment to being an international player in the UN and other multilateral spaces has not actually looked that bad. In 2015, China committed 1 billion USD over 10 years to support the UN’s work in development and security. Human rights are clearly left out. In the last 12 years, China has stood for and won election to the UN’s Human Rights Council every term it has been eligible. It also has established a new multilateral investment bank, the Asian Infrastructure Investment Bank, nearly single-handedly and committed to it being ‘lean, green, and clean’. … But Xi Jinping’s committed funds privilege two of the UN’s ‘pillars’—security and development—while not benefitting at all the third: human rights. … But China’s vote in the Council has gone against efforts to see a Commission of Inquiry in Burundi, or an end to the ethnic cleansing in Myanmar, or protections against being targeted for one’s sexual orientation or gender identity. … But few if any of China’s efforts in overseas investment or assistance, including its much touted Belt and Road Initiative, have benefitted from meaningful civil society participation or been contingent on minimum standards of human rights due diligence. This is by no means an exhaustive list of steps China has taken to advance its ambitions of global leadership, but it is a demonstration of the ways in which China sees the UN as a key arena for pushing forward and institutionalising its goals and priorities. One clear policy approach of China in UN spaces, in particular at the Human Rights Council, is to leverage political alliances. The Likeminded Group—an amorphous ‘regional grouping’ of many global South governments—has in many ways taken the place of its twentieth century corollary, the Non-Aligned Movement, as the bulky padding for political initiatives by China, Russia, and others. What begin as anodyne statements by China on behalf of this Likeminded Group, and other governments, increasingly evolve into resolutions of the Council. Human rights experts from governments and civil society alike worry that in such documents, principles of universality and interdependence are being played down, while concepts like sovereignty and territorial integrity are getting more airtime. UN documents that parrot CCP language emphasising development as a prerequisite for achieving human rights gains provide cover for governments that seek an escape from much- needed scrutiny and international accountability. Moreover, China increasingly pairs an approach of surrounding itself with its friends, with one of investing time and resources in picking off—one by one—its opposition. To cite just one example, in 2017 year massive Chinese investment in the Greek port of Piraeus and a high-level visit from Li Keqiang had such a significant political impact that Greek representatives in Brussels blocked EU consensus to raise human rights concerns about China. As a result, for the first time in 35 sessions of the Council, the EU failed to make a statement under the Council’s debate on serious human rights violations, sometimes referred to as an ‘Item 4’ statement (Emmott and Koutantou 2017). The second area where China seeks to develop its influence, and where opportunities exist to amend or adjust the multilateral human rights system, is at the level of process. The Universal Periodic Review, the Council’s process for reviewing the human rights records of all countries, big and small, suffers from serious mutual back-scratching syndrome. In 2015 and 2016, the last years for which full data in the form of official written statements is available through the Human Rights Council extranet, China took the opportunity to comment on the human rights record of every single government under review, often highlighting benefits of the technical cooperation that they themselves had already funded. The system of treaty bodies, committees of legal and policy experts who assess country compliance and recommend steps for improvement under their respective human rights treaties, has been a particular bugbear for the Chinese government. China’s Ministry of Foreign Affairs has filed scathing reports as input into the process of ‘strengthening’ that system, largely aimed at constraining innovation and restricting dialogue with ‘non-credible sources’, otherwise known as independent human rights NGOs. At the same time, the Chinese government seeks to ensure that Chinese nationals stand for—and are duly elected to— positions of responsibility on those very committees. The only problem is that most of those elected come directly from years, if not decades, of government service, which calls into question their independence. The most proactive and creative of tools at the Council’s disposal—the Special Rapporteurs, Working Groups, and Independent Experts mandated to be its ‘eyes and ears’—have not escaped the scrutiny of the Chinese authorities. In the June 2018 session of the Council, the Chinese government chastised Special Rapporteur on Freedom of Opinion and Expression David Kaye for criticising China’s Cyber-Security Act (United Nations Office at Geneva 2018). He had also cited Chinese companies, such as Tencent and WeChat, as examples of businesses engaged in forms of censorship and online content management. Last June, the report of the UN expert on extreme poverty and human rights—who had visited China in August 2016—was slammed by the Chinese delegation (UN Office at Geneva 2017 and 2017b). His efforts to call for the release of detained lawyer Jiang Tianyong met with assertions that Jiang, and others advocating for human rights, were merely criminals. While China’s aversion to scrutiny is not unique, the clear restrictions they placed on the expert during his visit, including surveillance of his staff and harassment of civil society contacts, goes well beyond acceptable cooperation and may amount to a policy of intimidation and reprisal. Finally, China exhibits outsized influence in the part of the UN that holds the purse strings. Budgetary requests of the Office of the United Nations High Commissioner for Human Rights (OHCHR) have been held hostage in retaliation to High Commissioner Zeid meeting certain Chinese activists, or being involved in certain events (Reuters 2016). In late June, Foreign Policy reported that China, ‘hardening’ its position, was seeking targeted elimination of UN jobs tasked with monitoring human rights in conflict areas (Lynch 2018). Among its discretionary contributions, however, China has increased funding to the Human Rights Office for at least one thing—support to the Special Rapporteur on the Right to Development. The final area in which China has stepped up its engagement and implemented more ambitious policies is in the area of civil society access and participation. China continues to play a ringleader role among governments seeking to shut out civil society voices in the UN Economic and Social Council (ECOSOC) NGO Committee. Their efforts have created an environment where States can, with immunity, permit political and economic interests to take precedence over a commitment to support civil society. As a result, NGOs seeking the right to access and speak at UN proceedings face intense questioning—including over their use of the terms ‘the Tibetan Autonomous Region’ or ‘Taiwan, Province of China’, regardless of the country in which the organisation is based. Even when organisations receive accreditation, it apparently does not mean that they can participate fully. The case of Uyghur rights activists Dolkun Isa, documented by my organisation and many others, as well as in media reports, is illustrative in this regard (ISHR 2018). In April 2017, Mr Isa sought to attend the UN Permanent Forum on Indigenous Issues at the UN headquarters in New York. Despite being fully accredited to participate at the event, at one point during the conference he was approached by UN security officers who instructed him to leave the premises. No reason was given and he was not permitted to re-enter the UN grounds. There was a repeat removal of Mr Isa in April 2018. The Chinese government has long accused Mr Isa of being a terrorist. When the red alert from Interpol was lifted in February 2018, the Chinese Ministry of Foreign Affairs repeated its ad hominem attack against Mr Isa. It is worth noting further that the UN Department, which oversees secretariat services for ECOSOC, is headed by former Chinese diplomat Liu Zhenmin. For many UN conferences, permission to participate can be given on an ad hoc basis, without requiring an official ECOSOC accreditation. Indeed, this is the case overall for access to UN grounds and buildings. Taiwanese civil society members have reported being turned away from, or facing barriers to, entry to meetings of the UN on labour, health, and human rights— even when their advocacy is focussed on individuals detained in China, a UN member state (Focus Taiwan 2017). Because of the risks of retaliation against them by the government, many human rights defenders in China are reluctant to participate in the UN at all. Defender Cao Shunli, who was detained en route to Geneva to contribute to China’s rights review and later died from lack of medical care while in detention, has become a potent symbol of the cost of undertaking advocacy (CHRD 2013; Kaiman 2014). In theory, they could still ‘attend’ meetings virtually, or review documents and provide input. But the final and perhaps most widespread barrier is the lack of information in Chinese language. Budgetary battles over the most core functions of the human rights system are perennial, so ‘minor’ issues of translation or additional live streaming end up far down on the list of demands, or are the first items to get reduced in a budget negotiation. China’s efforts to leverage political and economic pressure, meddle in or obstruct procedure, and raise the costs for NGOs to gain access to the UN are mutually reinforcing. They seem to point to a policy of remaking the UN—and particularly its human rights bodies—in China’s image, one based on mutual respect, cooperation, and intergovernmental dialogue. In this version of the United Nations, legitimate scrutiny of violations is dismissed as ‘interference in internal affairs’ and the essential voices of civil society are constrained or even silenced. Despite this multipronged assault on the human rights system, the UN has nonetheless shown its ability to be resilient and to reflect the concerns of individuals working on the ground—and in a handful of cases, actually impact the lives of those detained for their activism. UN experts on torture included forced conversion therapy as a form of torture or cruel treatment throughout the review of China (UN Committee against Torture 2015 and 2016). Their recommendations to the Chinese government not only provide legal commentary to inform domestic lawsuits, but also help build international jurisprudence on the issue. In the summer of 2016, UN experts expressed concern about the health, treatment, and detention conditions of free speech activist Guo Feixiong, after he began a hunger strike against ill- treatment and refusal of access to adequate medical care. This was the third time they had spoken up—and, apparently, this time it worked. The pressure from these experts, in addition to social media and direct actions and diplomatic requests, made a difference: Guo was able to see his sister, gain access to books, and was eventually transferred to another prison (ISHR 2017). Finally, Chinese lawyers working to support victims of domestic violence discovered, through engaging with UN experts on violence against women, that there are international best practices in restraining orders. As this is an area lacking detail in the current Anti-domestic Violence Law, the potential for constructive legal advocacy is promising. The withdrawal of the US from the Council should not be an excuse to disengage. The absence of the US’ ability to put China under the spotlight at the Council will be strongly felt, but it is critical that we not paint all efforts to counter China’s attempts to remake at the Council as anti-China, or allow responses to be bi-polar and, as the Chinese delegation often reminds us, politicised. This does not help those of us who see the Council as an important space for victims’ testimony and solidarity, and who believe that the risks posed by Chinese government strategies at the Council are serious. In a joint statement delivered on 19 June (available on www. webtv.un.org), these risks were made perfectly clear. China, backed by the Likeminded Group, set out a long list of ways in which the current head of human rights and his team had proven ‘dissatisfactory’. This was followed in short order by a clear set of criteria that they expected of that office in the future. This included a statement urging that ‘ensuring transparency in OHCHR work is of paramount importance’. In a somewhat ironic twist, neither the statement nor its list of signatories had been made public at the time of writing this article. Even this small example demonstrates exactly why a human rights system ‘with Chinese characteristics’ is entirely incompatible with the demands of the human rights movement—and why the current system, despite its flaws, is nonetheless worth fighting for. CHRD (Chinese Human Rights Defenders). 2013. “China Must Stop Excluding Civil Society from UN Human Rights Review.” Chinese Human Rights Defenders, 7 October. https://www.nchrd.org/2013/10/china-must-stop-excluding-civil-society-from-un-human-rights-review. Emmott, Robin, and Angeliki Koutantou. 2017. “Greece Blocks EU Statement on China Human Rights at U.N.” Reuters, 18 June. https://www.reuters.com/article/us-eu-un-rights/greece-blocks-eu-statement-on-china-human-rights-at-u-n-idUSKBN1990FP. Eve, Frances. 2018. “The US Withdrawal from the UNHRC Is Perfect for Xi Jinping and China.” The Guardian, 22 June. https://www.theguardian.com/world/commentisfree/2018/jun/22/the-us-withdrawal-from-the-unhrc-is-perfect-for-xi-jinping-and-china. Focus Taiwan. 2017. “Taiwan: Taipei Urges UN to Promote Country’s Integration in Multilateral Organisations.” Unrepresented Nations and Peoples Organisation, 13 September. http://unpo.org/article/20320. ISHR (International Service for Human Rights). 2018. “The Backlash against Civil Society Access and Participation at the United Nations.” International Service for Human Rights, 30 May. https://www.ishr.ch/sites/default/files/documents/mappingreport_web.pdf. ISHR (International Service for Human Rights). 2017. “Human Rights Council Side Event: Defenders in Detention – Safeguarding the Legacy of Liu Xiaobo.” International Service for Human Rights, 12 September. https://www.ishr.ch/human-rights-council-side-event-defenders-detention-safeguarding-legacy-liu-xiaobo. Kaiman, Jonathan. 2014. “Chinese Activist Cao Shunli Dies after Being Denied Medical Help, Says Website.” The Guardian, 15 March. https://www.theguardian.com/world/2014/mar/14/china-activist-cao-shunli-dies-human-rights. Lynch, Colum. 2018. “Russia and China See in Trump Era a Chance to Roll Back Human Rights Promotion at U.N.” Foreign Policy, 26 June. https://foreignpolicy.com/2018/06/26/russia-and-china-see-in-trump-era-a-chance-to-roll-back-human-rights-promotion-at-u-n.
Reuters. 2016. “China Angered as U.N. Rights Chief Attends Ceremony for Jailed Academic.” Reuters, 12 October. https://www.reuters.com/article/us-china-rights-un-idUSKCN12C0X2. UN Committee against Torture. 2016. “Concluding Observations on the Fifth Periodic Report of China” United Nations Committee against Torture, 3 February. http://docstore.ohchr.org/SelfServices/FilesHandler.ashx?enc=6QkG1d%2FPPRiCAqhKb7yhslEE2YuVt8GA5WKG3GEX%2BZEXqjnsVnWP%2BkQ6f9cmzWcEPJYdFWEXvIFmDTE3WtKbIKZXAKr5OVTwnh86Q4GNZXSmrqMf55xyaMPMcFusW3o2. UN Committee against Torture. 2015. “List of Issues in Relation to the Fifth Periodic Report of China” United Nations Committee against Torture, 15 June. http://www.refworld.org/docid/564ed6854.html. UN Office at Geneva. 2018. 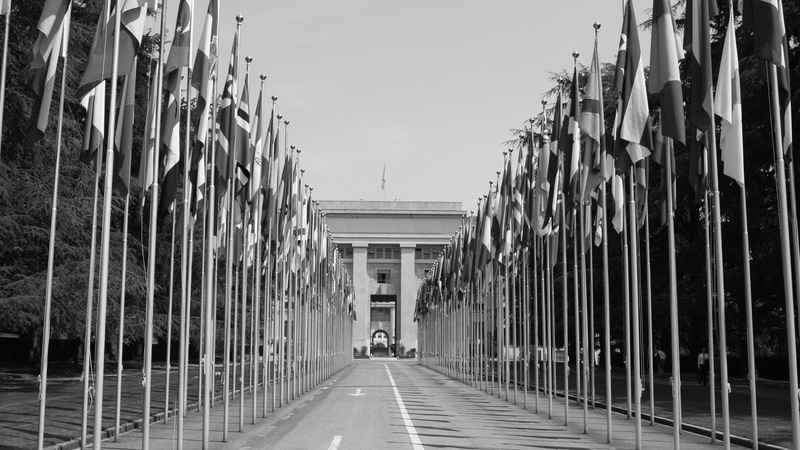 “Human Rights Council Holds Interactive Dialogue with Special Rapporteurs on Extrajudicial Executions and on Freedom of Expression.” The United Nations Office at Geneva, 20 June. https://www.unog.ch/unog/website/news_media.nsf/(httpNewsByYear_en)/89894A16234574F5C12582B2004476FF?OpenDocument. UN Office at Geneva. 2017a. “Council Begins Interactive Dialogue on Human Rights of Internally Displaced Persons, and on Human Rights and Extreme Poverty.” The United Nations Office at Geneva, 7 June. https://www.unog.ch/unog/website/news_media.nsf/(httpNewsByYear_en)/42F8EF03A6A88996C1258138005BC998?OpenDocument. UN Office at Geneva. 2017b. “Human Rights Council Concludes Interactive Dialogue on Internally Displaced Persons, and on Human Rights and Extreme Poverty.” The United Nations Office at Geneva, 8 June. https://www.unog.ch/unog/website/news_media.nsf/(httpNewsByYear_en)/B0F95625A13F165AC125813900458CE7?OpenDocument. Wade, Samuel. 2018. “U.S. Rights Council Exit: A Victory for China?” China Digital Times, 22 June. https://chinadigitaltimes.net/2018/06/american-exit-from-u-n-rights-council-a-crushing-victory-for-china. 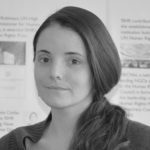 Sarah M. Brooks leads the programmatic and advocacy work of the International Service for Human Rights (ISHR) to support defenders in the Asian region (with particular focus on China) as well as defenders of migrant and refugee rights. Sarah also supports ISHR’s work in corporate accountability and leads organisational change in digital security. She comments on her work, transnational feminism, and geopolitics on Twitter @sarahmcneer.